"Yet, somehow, it managed to pay its top executives millions of dollars in bonuses." Postmedia CEO Paul Godfrey at the company's annual general meeting in Toronto, Jan. 12, 2017. Postmedia Network Inc. will close six small-town newspapers and cut print publication of four more, while slashing 10 per cent of its total salary outlay. Postmedia Network Inc. will close six small-town newspapers and cut print publication of four more, while slashing 10 per cent of its total salary outlay through layoffs and voluntary buyouts by the end of August. "While these are difficult decisions to make, they are necessary to manage our cost structure and structural transform," spokeswoman Phyllise Gelfand said in an email Tuesday. The company confirmed it will shut down the Camrose Canadian and Strathmore Standard in Alberta and the Kapuskasing Northern Times, Ingersoll Times, Norwich Gazette and Petrolia Topic in Ontario. It will also stop printing The Graphic in Portage La Prairie, Man., along with the Northern News in Kirkland Lake, Ont., and The Daily Observer in Pembroke, Ont. It said those three publications will continue to have a digital presence and communities will continue to be served by free weekly publications — the Herald Leader in Portage La Prairie, Kirkland Lake Northern News This Week and the weekly Pembroke News. The High River Times in Alberta will move from publishing two days per week to once weekly and retain a website. Postmedia said in an internal memo obtained by The Canadian Press that it has undertaken a review of the organization and identified roles to be eliminated. It said there will also be a targeted voluntary buyout (VBO) program for all editorial staff, whether unionized or not, open until July 10. "If target savings aren't met through the initial VBO program and targeted reductions, further staff reductions will be identified across our operations," the memo states. The company plans to discuss departure dates and severance packages with affected individuals over the next few weeks. 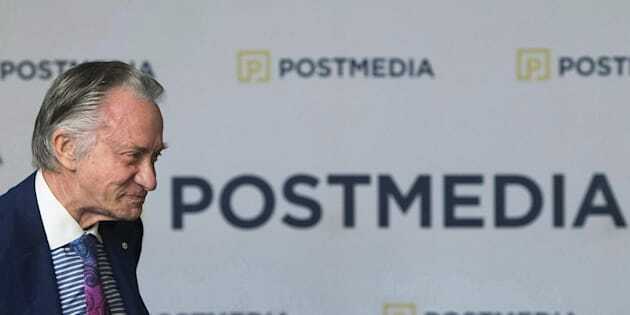 Postmedia CEO Paul Godfrey was not available for interviews Tuesday, the company said. Last November, Torstar Corp. and Postmedia announced they had exchanged a total of 41 publications, mostly in Ontario, and would stop publishing most of them, resulting in 291 job losses. "Postmedia is closing a daily newspaper next month that's older than Canada itself as a cost-cutting measure to pay down debt," said Paul Morse, president of Unifor Local 87-M, in a news release regarding the closing of the Pembroke newspaper. The latest round of staff reductions will be the second cross-company effort to reduce staff in the past two years as it works to slash costs in the face of advertising revenue declines. In 2016, the company announced a plan to reduce its salary expenses by 20 per cent and initiated a voluntary buyout program, even as it paid bonuses to several top Postmedia executives. Canadian newspapers are in rough shape because of declining print advertising while foreign-owned tech companies Google and Facebook are benefiting from Canadian digital advertising, Morse said Tuesday. "We have asked the federal government to help newspapers transition to new and economically sustainable ways to deliver local news but have been met with essentially empty platitudes." Ottawa committed $50 million over five years in its latest budget to support "local journalism in underserved communities,'' and plans to explore new models that would allow private and philanthropic support for "non-profit'' journalism, including allowing Canadian newspapers to receive charitable status. However, it stopped short of a much anticipated move to allocate more money and change the rules around the Canada Periodical Fund to provide funding beyond print magazines, non-daily newspapers and digital periodicals.